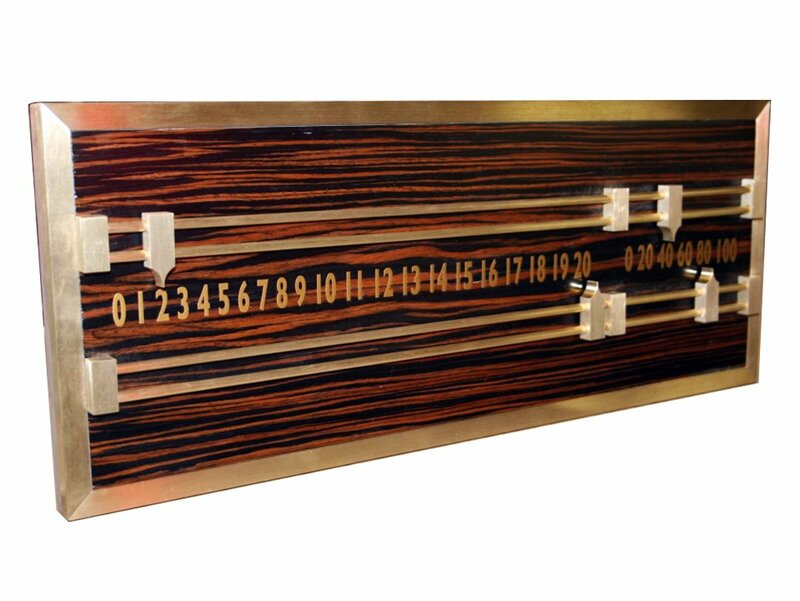 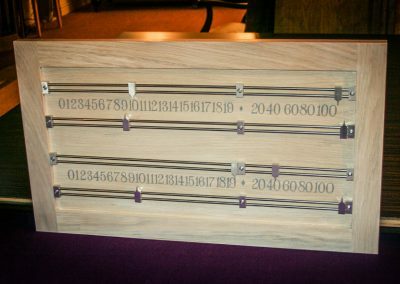 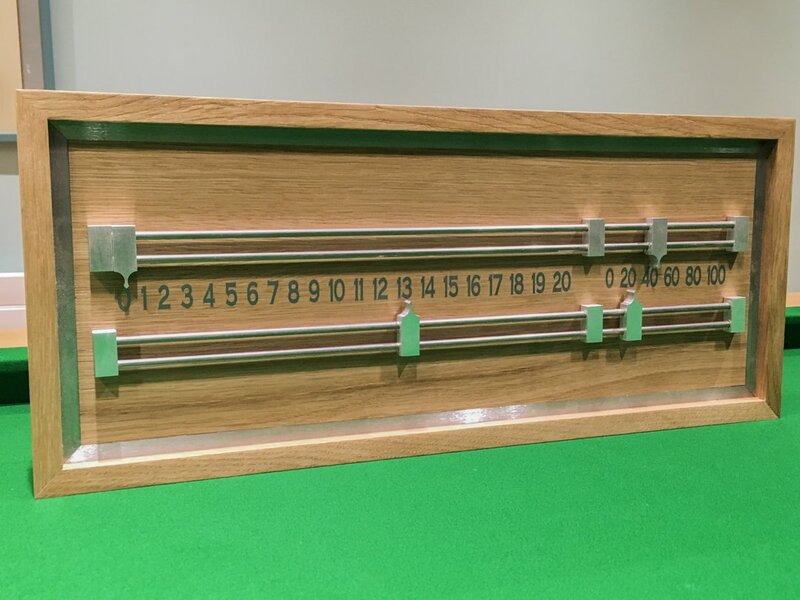 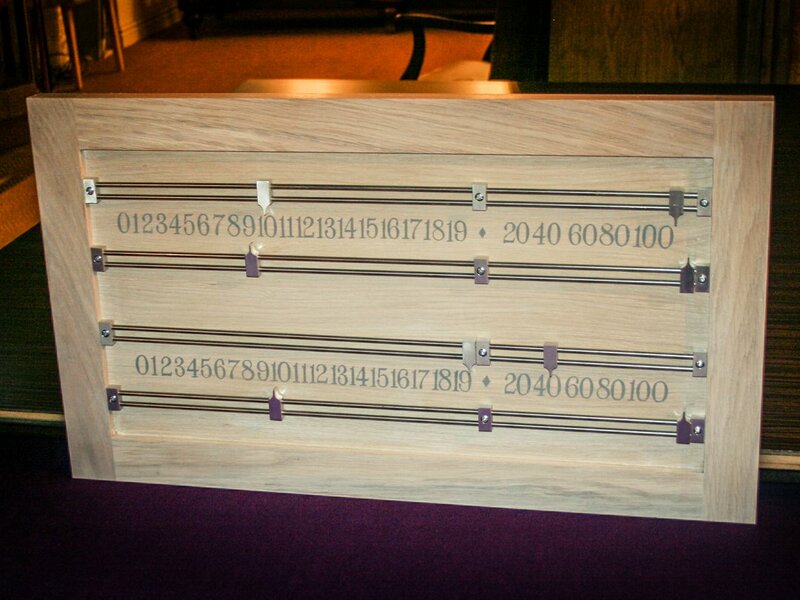 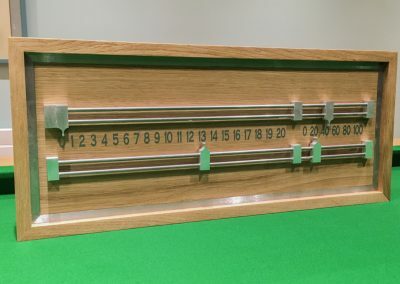 This beautifully handmade Snooker scoreboard is a lovely example of our ‘Standard’ scoreboard design, with an extra touch of personalisation in the form of an inlaid metal border. Made from solid wood to match a client’s table or other furniture – the main picture show’s one in Oak, with a natural finish and hand-milled steel rails and pointers, complemented by the inlay. The other pictures show variations on the same design, one with our ‘bentley macassar’ veneer and brass frame; another with 4 scoring rails. 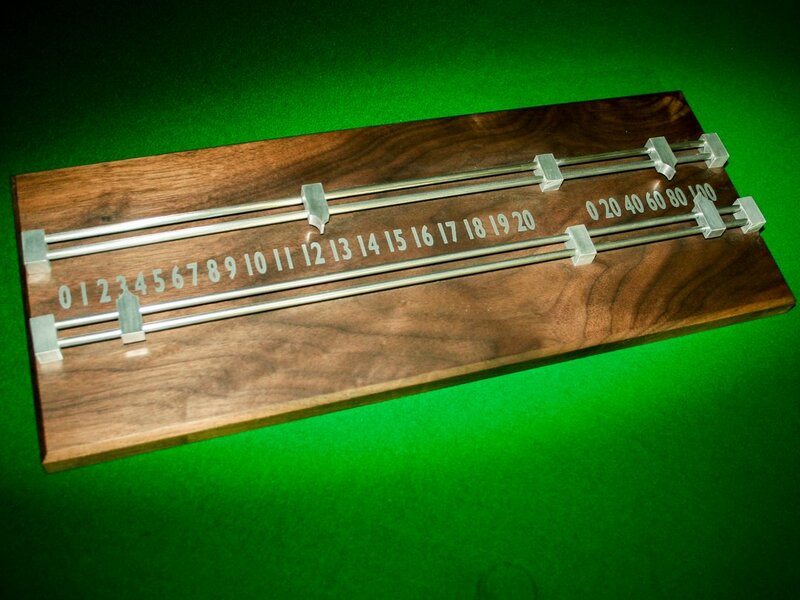 The final picture shows our more minimal ‘Simple scoreboard’ design in beautiful Walnut.